After spending two months of (slow) travel in Colombia, here’s my list of the best places to visit in Colombia and what to see and do when you’re there. This article isn’t intended to be a detailed guide to the country, more of a taster of the things to do in Colombia during a first visit. Whether you have a week, a month or more, here are some of my highlights from my visit to Colombia. Note: these places listed below are in broad geographic sequence from north to south – they are not ordered by preference! A beautiful Spanish Colonial walled city with high-end restaurants and plenty of sights, make sure you have enough days to explore Cartagena. It was the starting point for my trip to Colombia, and not only did it turned out to be a great and easy introduction to the country, it was one of my favourite spots overall. In fact, I liked it so much, that when I got a chance to pop in for a second stay, I jumped at the opportunity. 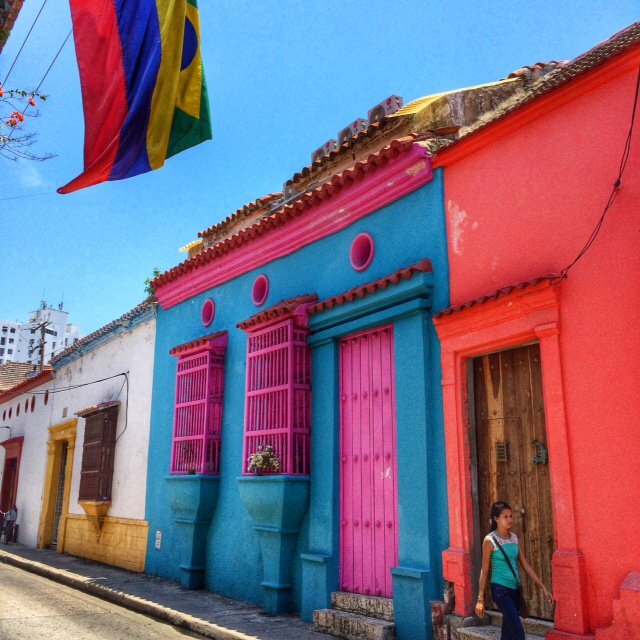 Cartagena is not short on sights and getting lost in the old town is perhaps one of the best ways to explore. That said, Plaza Bolivar, the Spanish Inquisition museum and the Convent of San Pedro Claver were three of my favourite sights in Cartagena. Did you know: there were only three locations in all of Latin America where the Spanish Inquisition Tribunal took place – Lima in Peru, Mexico City in Mexico and Cartagena in Colombia. Pro Travel Tip: if you’re in the city on the last Sunday of the month, entry to the museums is free. I’ll be honest, after two months in Colombia, I developed food depression – some sort of protein served with dry rice, solid beans and slimy salad doesn’t sate my appetite, particularly when you face the same stuff day after day. 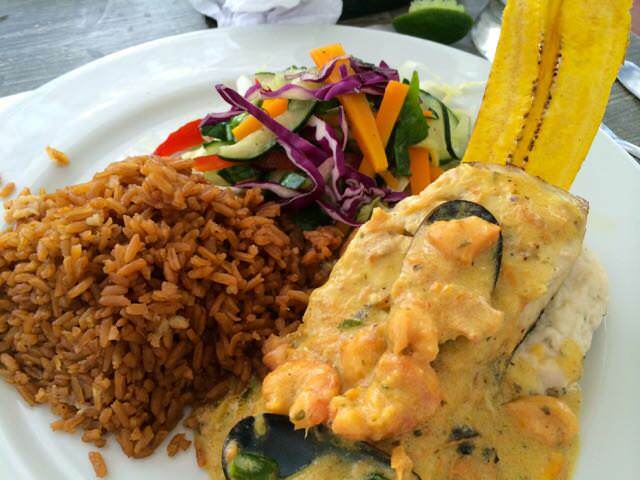 But the food in Cartagena is a different story. From glorious local food to high-end bistro options to delicious street food, Cartagena is a world apart when it comes to Colombian dining. La Mulata: if all Colombian food tasted this good, surely it would go global. The street food – arepas stuffed with cheese and the ceviche and seafood cocktails are particularly good. The beaches in Cartagena are sadly a disappointing shade of dull brown. Despite fronting the Caribbean, Cartagena’s beaches are lacking…Playa Blanca (translation: white beach) is a different matter and can be reached by day trip from Cartagena. On a budget: I stayed at El Viajero which was clean and well located within the old town – though if you’re not a party person, take ear plugs! For hotels: Here’s a list of the 10 best hotels in Cartagena (according to Trip Advisor). On my bucket list is the Santa Clara Hotel which is one of the most luxurious options – a Sofitel hotel located inside a former convent complete with 17th Century architecture. Unsurprisingly, the Santa Clara Hotel is one of the Travelers’ Choice Winners for Cartagena on Trip Advisor with Radisson Cartagena Ocean Pavillion Hotel being the other winner. But, perhaps more importantly than which hotel is where (within Cartagena) to stay. 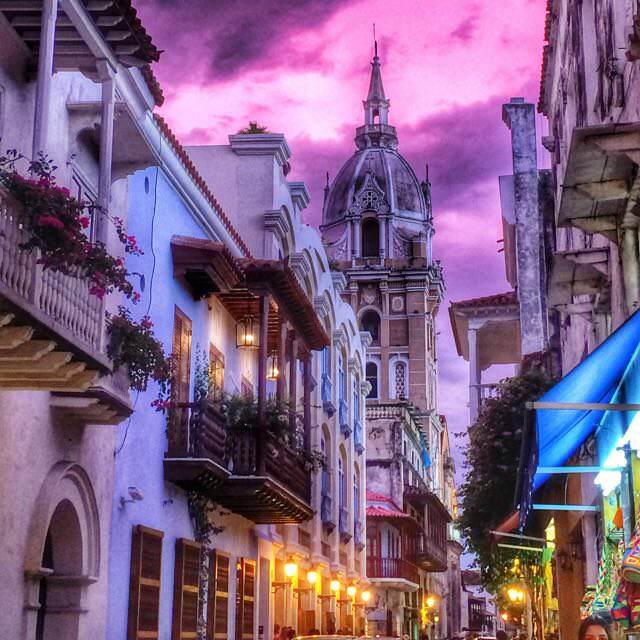 Cartagena’s old town is my recommendation. Your other alternative – Bocagrande – may feature a lot of the big brand hotels and may front the beach, but the surroundings, complete with exhaust-fume filled roads and fast-food chains galore is very, very ugly. For a much more beautiful experience, make sure you stay within the walled city. Segway Tour of Cartagena Once upon a time I thought Segways were for lazy people..and then I tried one and have since decided it’s one of the most fun ways your can get around. Wheeeeeeeeeeee. Pro Travel Tip: Humidity in Cartagena runs at about 80% and can be brutal. Build in some slow-moving days as you acclimatise and if you’re not good sleeping in the heat, make sure your room has air-conditioning for the evening. 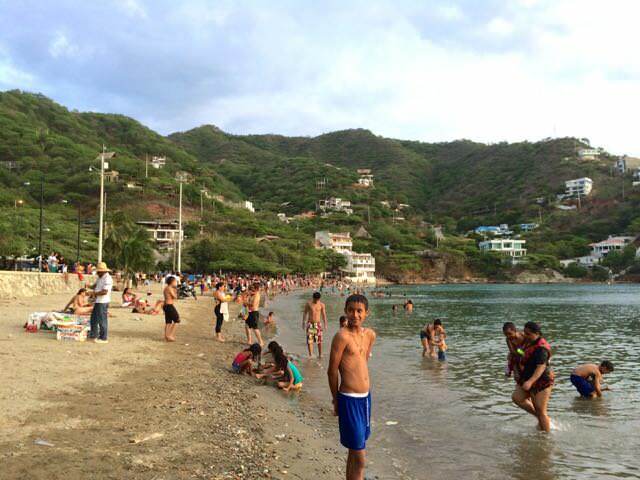 First: the bald truth – Santa Marta doesn’t hold much charm itself and the beaches are no more beautiful than those that skirt Cartagena, but Santa Marta does serve as a great “jumping-off” point for other locations. That said, before you cruise on through, it’s worth spending a night or two to explore. Although not especially grand or vast, the old town of Santa Marta is very pleasant at night and is the best place for great food. Spend an evening dining al fresco without the rip-roaring noise of cars and motorbikes that burden many other locations in Colombia. I can particularly recommend Ouzo for great Mediterranean food when the chicken and rice options get too much. Taganga – not the prettiest beach…so you may want to skip staying there. The second I lay eyes on Taganga, complete with rubbish strewn all over the beach, motorbikes pumping fumes into the atmosphere and music screeching into what little air that wasn’t already filled, I knew it wasn’t a place I wanted to say. However, Taganga has a kicking nightlife and is well-know for it’s scuba diving opportunities. Only 10 minutes by taxi from Santa Marta, you can satisfy your curiosity without having to bunk down there. El Mirador – a club overlooking the bay – is a favourite party spot. On a budget: I stayed at The Dreamer Hostel which not only includes a pool, hammocks, bar, restaurant, a kitchen and TV room, this place had some of the friendliest staff I met in Colombia. On the downside, the hostel is in a quiet, residential location but there are regular, cheap taxis camped outside and the hostel is within walking distance of a large supermarket and mall. For hotels: Here’s a list of the 10 best hotels in Santa Marta (according to Trip Advisor) and the three winners of the Travelers’ Choice Awards go to: Zuana Beach Resort (that pool would win me over), Casa de Isabelle and Irotama Resort. If you only make it to one beach on the mainland of Colombia, make it one of the beaches dotting the coast of Tayrona National Park. Trust me: you won’t regret it. Walk quietly and you might catch feeding time! One of the best thing about Tayrona National Park is that the beaches contained within it require a bit of effort to get to. That keeps tourist numbers relatively low and makes the trails feel a bit like you’re wandering through the wilderness. 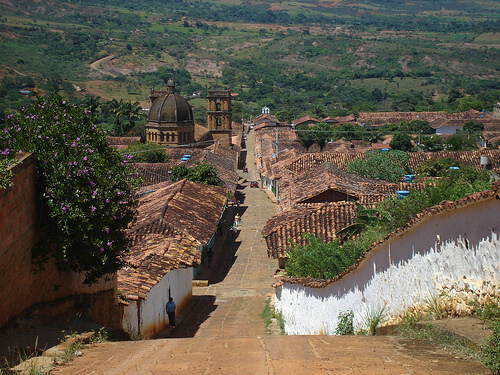 Planning your trip: I used the Colombia Lonely Plane Guidebook. Although it’s not filled with pictures, it’s got all the details you need including train and bus routes and times as well as city maps. If you’re taking a more substantial trip through South America, the Lonely Planet South America on a Shoestring will be invaluable. There’s a small handful of accommodation within Tayrona National Park and sleeping in one of the hammocks on the rock at Cabo San Juan beach provides some of the best morning views you’ll ever see. Pro Travel Tip: Hammock space on top of the rock is limited and popular. As you can’t book online or in advance, start your trip to the park early to make sure you secure a spot. If you prefer to book in advance: there are three options on Trip Advisor: Villa Maria Tayrona, Tayrona Tented Lodge, and Posadas Ecoturisticas Seineken. The double bay is beautiful but check out other beaches in the park too. The double-bay at Cabo San Juan is beautiful but if you’re looking for a bit more seclusion, head inland and continue around the bay. Within around 10 minutes you’ll pop out at a beach that is much less crowded. Hiking into Tayrona was fun, but just as exciting was the speed boat back to Taganga. It saves a long trek over already-trodden ground, effectively buys you an extra day at the beach (boast leave late afternoon) and will get you back much quicker. 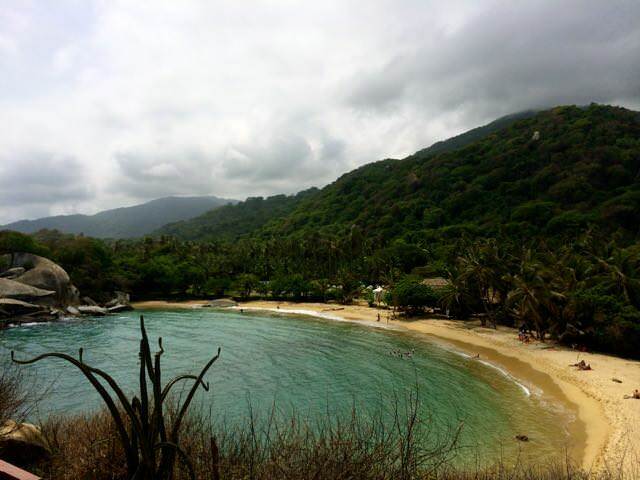 From Santa Marta you can take a local bus to Tayrona National Park. Once there, you enter the park, pay an entry fee ($38,000 pesos – around £12/$19). For a couple more dollars, you can catch a collectivo (minibus) to the start of the park trails. To walk would take 15 minutes. From the park trail, take the route towards Areciffe – a pleasant walk of around 2.5 hours through woodland. Once you reach Arrecife you can choose to rent one of the lodges, tents or hammocks. Alternatively you can continue on for a further 30 minutes to reach Cabo San Juan, where you can also rent a tent or hammock. If you’re really anti-camping, there is a four-bed room ($200,000 pesos – around £60/$100) available at the top of the rock at Cabo San Juan complete with one double bed and a bunk bed. There are also some lodges within the park. The accommodation at Arrecife is superior but the beach and views at Cabo San Juan are better. In a choice between renting a tent or a hammock, choose a hammock – with the day’s sun on them, the tents get super hot. Beware: swimming is dangerous at Arrecife. It’s very safe at Cabo San Juan. Take all the money that you’ll need because there are no ATMs and you can’t pay by card. 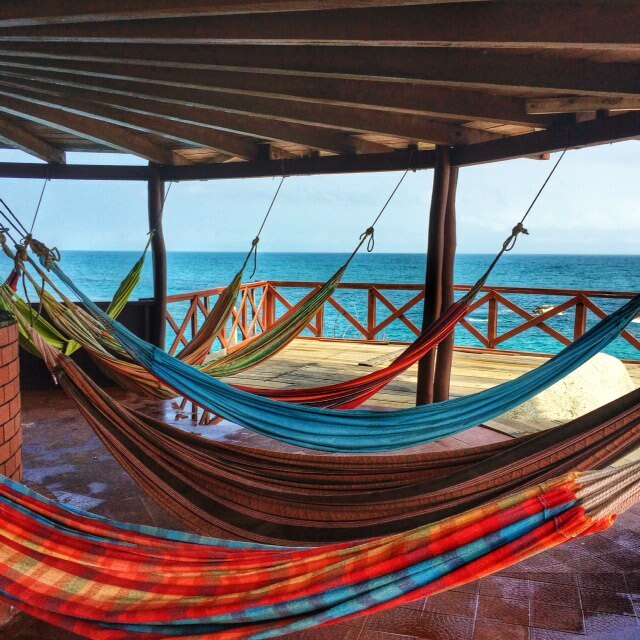 To budget, consider that hammocks are $20,000 to $25,000 per night. Breakfast costs around $10,000 and main meals cost $15,000 to $30,000. All drinks (water, beer, soft-drinks) are $4,000. Do not go without mosquito repellant and a torch. The showers are very “rustic” and there aren’t many of them so be prepared. Just take a day-pack – hiking into the park complete with its humidity will be punishing with anything more than 5kg on your back. Pack light. I confess that I only lasted one night in Palomino courtesy of the mosquitos that were so determined to feast on my blood that they managed to bite me through my clothes and despite my repellant. Add a serious bout of rain and dampness hanging in the air, and you’ll understand why I bailed the day after I got there. However, assuming you don’t turn up in the middle of October (during the rainy season), Palomino is a pretty, coastal escape. Not as humid or densely populated as Cartagena or Santa Marta, it’s a perfect beach spot if you’re looking to get away from it all. The Tiki huts in Palomino added a real beach feel to Palomino. With hammocks hanging outside and an on-site restaurant and bar, you can certainly lose a day swinging in the breeze. (Dorms and private rooms available). It still might not be the golden sands of the nearby Caribbean islands, but the beach at Palomino was broader, longer and had water you could swim in safely. I didn’t see any actual chickens on the local bus from Santa Marta to Palomino but there was plenty of Reggaeton music and food vendors. At one point I was sat on a 20kg bag of dog biscuits while holding a collection of mops for a man who was hanging out of the door (no other space to stand). If you’re looking for a local Colombian experience, the bus to Palomino (complete with views of the jungle interior and sprawling coast) will tick the box. 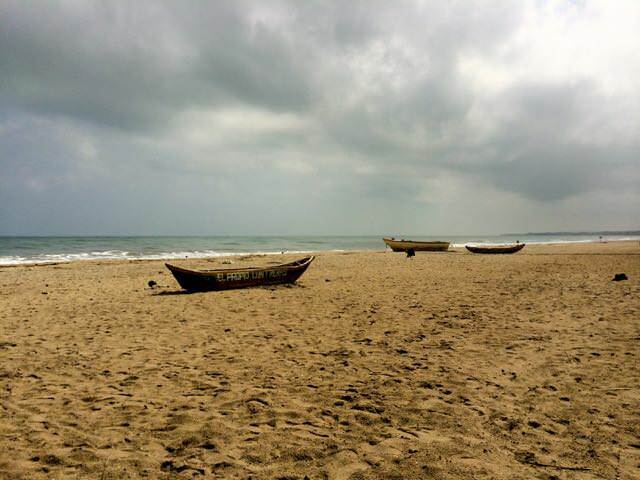 On a budget: I stayed at Tiki huts in Palomino which had been recommended to me and after a reasonably long stay at the Dreamer Hostel in Santa Marta (and it’s regular party nights), I was ready for a bit of quiet time. However, if you do want somewhere a bit more lively or thoroughly enjoyed The Dreamer Hostel in Santa Marta, you’ll be pleased to know there is a sister The Dreamer Hostel in Palomino. For hotels: Palomino is tiny so there are only a few hotel choices. Here are the most popular options (according to Trip Advisor) with Hotel Playa Mandala (and it’s beautiful netted beds) winning the the Travelers’ Choice Awards. 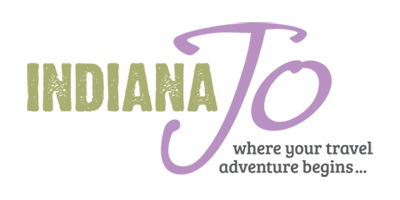 If you’re interested in a hotel’s green credentials, eco boutique hotel Aite has achieved Platinum Level as a Green Leader. I really had to pull myself away from Medellin, which surprised me because at first sight (on Google images) it looked like nothing more than another over-populated, over-polluted South American City. And it is those things. But it’s also so much more. 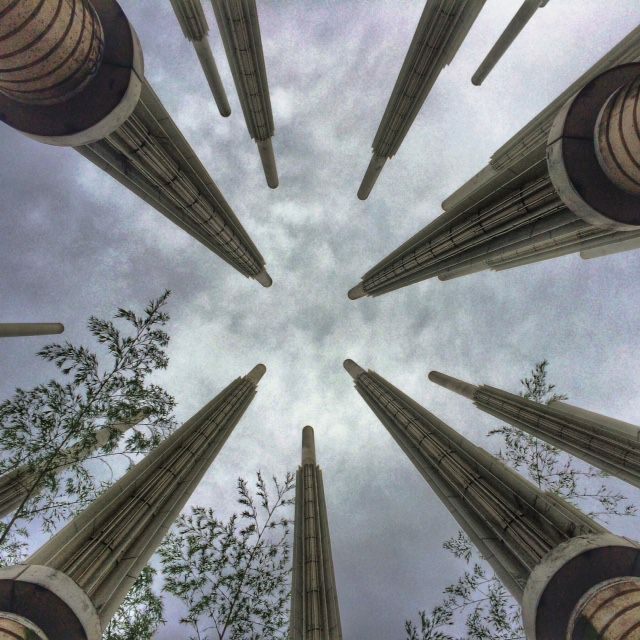 There’s an intangible vibe in Medellin that kept me there week after week and I’m sure will pull you in too. I spent two weeks in Medellin picking up more Spanish in Colombia, which was extremely useful given, out of all the Latin American countries I’ve visited, the Colombian people speak the least English. If you’re also after a Spanish textbook that isn’t too hideous to carry, I love the Collins 3-in-1 Grammar, Verbs and Vocabulary. While 90% of the Medellin’s tourists wander around the western bars that fill El Poblado, you’re actually much better off exploring the basement salsa clubs of Laureles. 100% local and guaranteed to have you sweating in seconds, if you want to get down and salsa, this area is a good (and safe) place to do it. Pro travel tip: skip the accommodation in El Poblado and get a more local experience by staying in Laureles. I stayed in both areas and by far preferred the latter. I can highly recommend the Wandering Paisa complete with a weekly cultural exchange (local Colombians will come and practice their English while you get to chat some Spanish), monthly open-mic nights and free salsa classes. Dorms and private rooms available. Want to understand the complex history of Colombia and its warring factions? Want to understand how Medellin, which was once home to drug lord Pablo Escobar and possessed the title of murder capital of the world, has turned itself around? Take the free City Walking Tour. you need to book the City Walking Tour in advance online. You can book here. although the tour is free, the guide works on tips. $30,000 (around £10/$15) is the recommended amount and I can assure you that the tip price is worth it. Located high about the city and reached by two cable cars (one connects to the other), enjoy the peace that finds you as you sail above the city and then over the dense forest of Parque Arvi. If you’re in the mood, hire a guide and go exploring at the top. If you’re feeling lazy or frugal, stay on as the cable car and wind back down to the bottom. On a budget: I checked out a good bunch of hostels when I was in Medellin and by far my favourite place was The Wandering Paisa. Continually attracting a good bunch of people and with a fantastic series of events from open mic nights to language exchange nights (involving the Medellin Couchsurfing crowd), you’ll be hard pushed to find a more social place. Don’t be put off by the fact that this hostel is away from the others – it’s in a more local area that, IMO, is more a more fun (plenty of bars and restaurants) and interesting place to be. If you do want to stay in Poblado (the main tourist area), then check out Saman Hostel. Small but perfectly formed and, most importantly, just across the road from Parque Lleras where all the bars and restaurants are scattered, Saman is a great option. And if you’re looking to take language classes at Toucan Spanish (where I took lessons), you’re just a few minutes’ walk away. For hotels: You won’t be short on choice when it comes to hotels in Medellin – here are the 10 best hotels in Medellin (according to Trip Advisor) and, if you’re enjoying a favourable exchange rate against the Colombian peso, you’d do well to upgrade to one of the more luxurious options in the city. You can find the 10 best luxury hotels in Medellin here. Although The Charlee isn’t top of the luxury list, it’s one of the most iconic buildings in the city and if nothing else, you should at least take a trip for a cocktail and views from the bar at the top. Apartment rental – If you’re staying longer than a few days, check out Snapstays – started by a couple of guys who were frustrated at the lack of reliable rentals (and wi-fi) when they wanted to rent for longer term stays, Snapstays has only a few locations at the moment but thankfully one of them is Medellin. 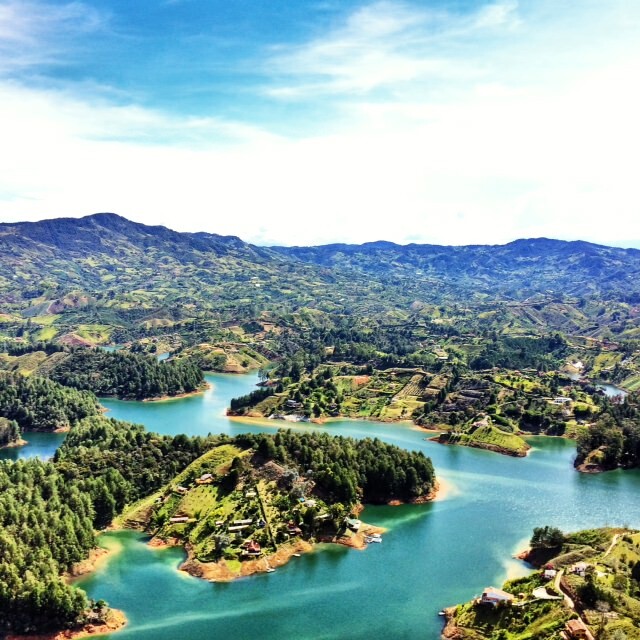 If I had a vision of what Colombia might look like, it was probably Guatape. 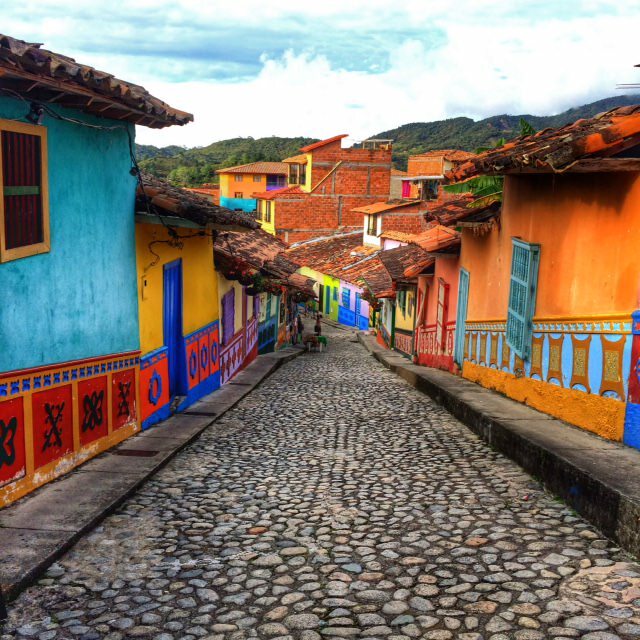 Bright, bold and beautiful, don’t miss this tiny town just a few hours outside of Medellin. Before you reach Guatape (if you’re coming on the bus from Medellin), you’ll be tossed off the bus at El Peñon, a huge rock that screams “climb me”. 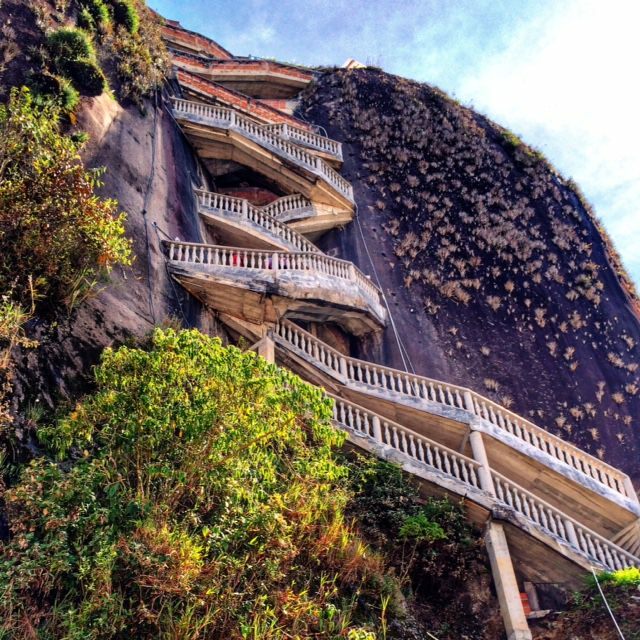 Even if you’re not into (or are over) climbing, take the 625+ steps to the top for some of the best views you’ll get in all of Colombia. Promise. Pro travel tip: book your return bus ticket as soon as you get to Guatape. Although the buses leave regularly, seats, particularly towards the end of the day, fill up fast. If you eat only one Bandeja Paisa in Colombia, make it the Bandeja Paisa at the small restaurant on your left as you exit the steps of El Peñon. I shared a plate and was still stuffed but I definitely could have consumed more of the views (over the lakes) as I ate. Make sure you’ve got plenty of space on your memory card before you get to Guatape because you’re going to need it. There’s no real suggested itinerary for the town other than to wander around and find what you find. 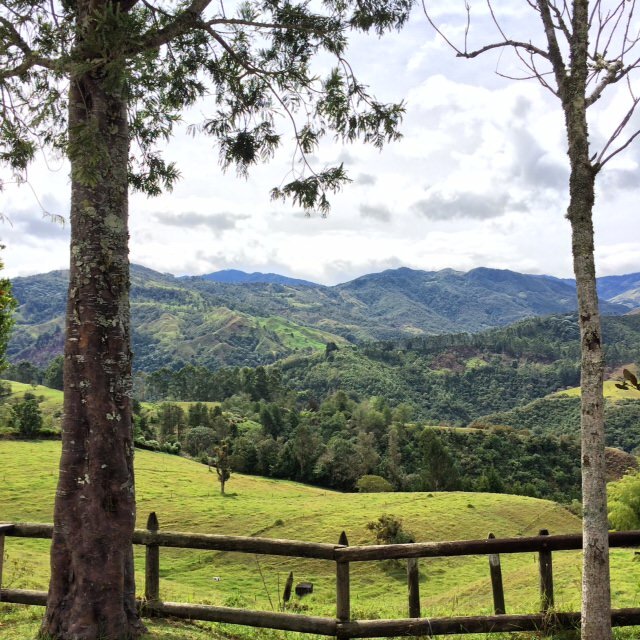 On a budget: Sadly, I didn’t take the time to spend a night in Guatape, which is one of my regrets from my time in Colombia. However, if I was going to return, I’d check out Lake View Hostel. For hotels: Guatape is another tiny place so once again there are only a few hotel choices. Here are the most popular options (according to Trip Advisor). A lot of people write-off Bogota and I admit there is a slightly sketchy feel to the place, particularly around La Canderlaria after 9pm, but it’s still worth a couple of nights stay so you can see the main attractions. If you’re only going to visit one museum in Colombia, make it the gold museum in Bogota. 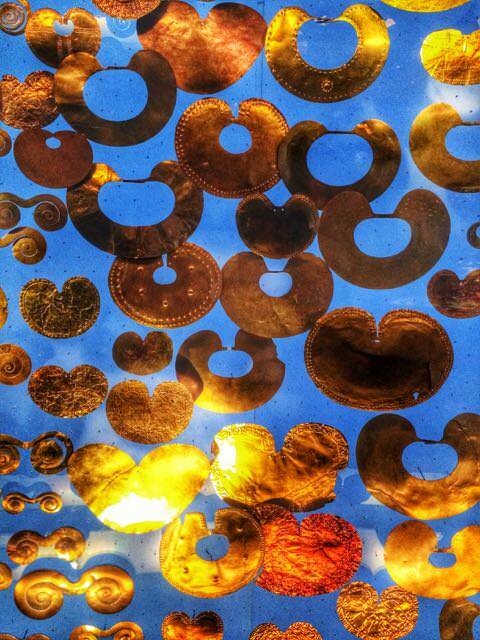 Comprising the largest collection of Pre-Hispanic gold work in the world, not only do you get to see lots of gold (what else? ), it’s a great insight into the lifestyle of Colombia’s ancestors. Don’t laugh, but I didn’t really grasp the concept until I was nearly 200 metres underground that the salt cathedral was actually a cathedral (and not just a cave with light streaming into giving the vision of a cathedra)! 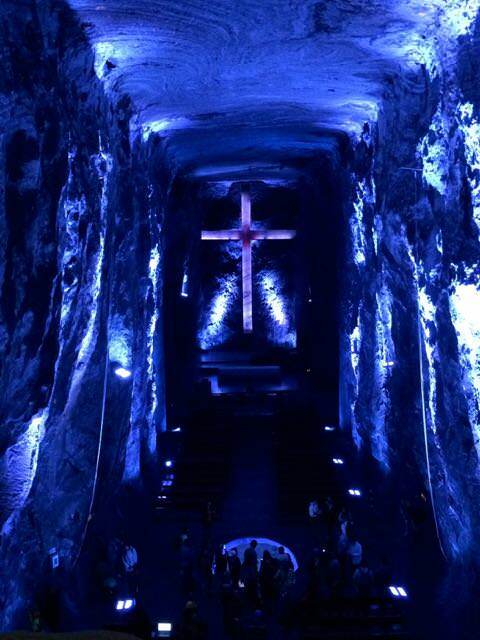 As you pass the Stations of the Cross and round the corner into the bigger caverns, the “wow”s just keep on coming. The light-show that’s included in the entry price is mediocre at best but the video explaining the history and facts about salt mining in the region is not to be missed. Pro travel tip: Start out early. The cathedral is a fair trek from the centre of Bogota. I ran out of time in Bogota so didn’t get the chance to head up the mountain side to Montserrat, but it’s supposedly one of the highlights of the city and I can only imagine the views you might get over the basin of the city, particularly around sunset. You can get there by cable car, or, if you’re game, take the 1,500 steps (it makes El Peñon look like child’s play). On a budget: Most of Bogota’s hostels are located in the Candelaria district of the city, which I found to be pretty safe (though anywhere in Bogota I’d want a chum with me after dark). It’s also within walking distance of places like the Gold Museum as well as plenty of bars and restaurants. I stayed at The Cranky Croc which I enjoyed so much I booked for a second stay after a brief jaunt to San Andres (see below). For hotels: With everything from the Four Seasons to the Ramada, you’ll have the full international hotel scene at your disposal in Bogota as well as a good selection of local hotels. Here are the 10 Best 10 Hotels in Bogota (according to Trip Advisor) many of which have acquired Travelers’ Choice status including Morrison 114 Hotel, Bogota Marriott Hotel and the Orchids Hotel. Salento was by far one of my favourite places in Colombia…and not just because it’s in the coffee region (though that certainly helped). Surrounded by rolling green hills and stretching countryside, it was nice to take a deep breath of (thin, altitude) air in Salento. Regardless of the fact that the weather was miserable (I was beyond my ankles in mud at some spots) and the wax palm trees, which are one of the highlights of the trek, were obscured in mist most of the time, the Cocora Valley hike was one of the most fun days I had in Colombia. Playing Tarzan as you cross precarious wooden bridges hanging on by threads of rope and hiking up to a curious humming bird hut for a watery hot chocolate and chunk of too-salty cheese, the hike was like no other I’d done before. The hike takes around 5 hours (if you take the route up to the humming bird hut and loop back to the start) and involves around 30 minutes of painful up-hill trekking, but it’s well worth the jaunt. Pro travel tip: to get to the start of the trail, take one of the shared jeeps from the centre of Salento. I don’t usually consider a :place to stay” a “thing to do” but I’m making an exception for La Serrana. As much a destination as it is a form of accommodation, this old farmhouse about 15 minutes’ walk outside of Salento town is the best place to stay in the area. With a family dinner in the rustic kitchen each night (weekdays) and a nightly bonfire and marshmallow roasting, La Serrana is the place to truly enjoy the mountain location. 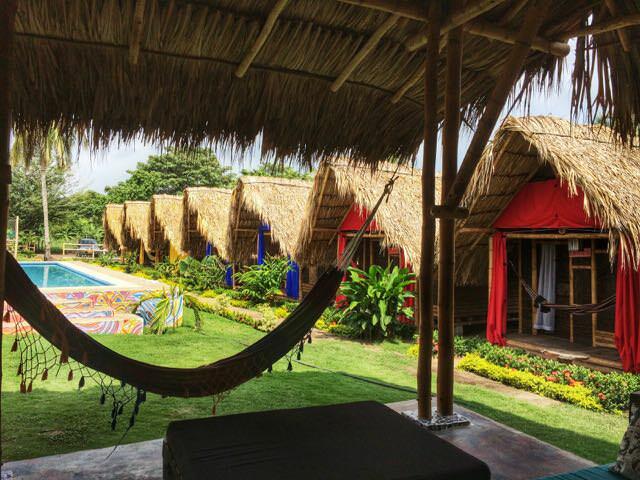 Swing in a hammock, stroll around the grounds or just sit and sip some wine at night, La Serrana is the antidote to overstuffed hostels or soul-less hotels you might frequent elsewhere in Colombia. 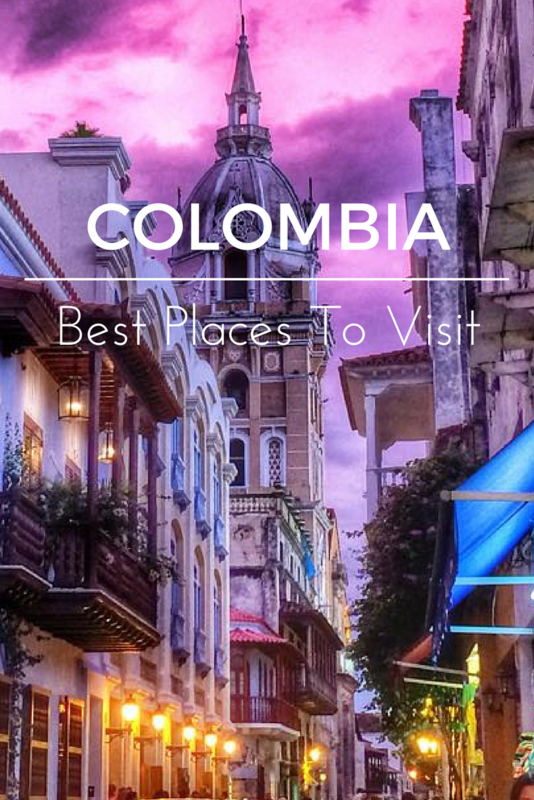 Prefer a tour of Colombia? I get a lot of messages from people who want to visit Colombia but are a bit unsure about safety. 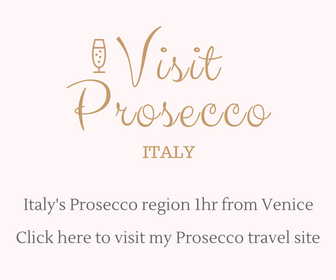 My advice – hop on a guided tour. Whether you add a week or so at the beginning of your trip to get you immersed and confident or you take your whole trip this way, it can be a comforting feeling knowing a local has your back. My favourite tour company is Intrepid travel – small groups, great prices and itineraries that will help you get closer to the local culture, often giving you those photo moments you won’t get on other tours. You can see Intrepid’s Colombia tours here. You’re in coffee country, so why not take a stroll around a coffee plantation to found out how the beans make it from the plant to your cup. If you stay at La Serrana, turn left at the entrance and with a 4-kilometre downhill walk, you’ll find yourself at Don Elias. The tour is simple but the free coffee at the end is a much more complex and tasty affair. What’s tejo you might ask? Well, imagine Boules (you know, where you throw balls as close as possible to the target ball – the jack), but instead of throwing balls at a jack, you’re lobbing metal weights at gunpowder. That’s tejo. Hold a beer in hand and imagine you’re competing in the Colombia championships (yes, they exist) and you’ll do a lot better. Pro travel trip: if you join the coffee tour from Don Elias, a local guy will take you to his teko restaurant. Eat the food (it’s excellent and very affordable) and you get to play Tejo for free! I personally haven’t gotten back in the saddle since a horse tried to decapitate me with a tree branch in the Pantanal in Brazil, but still, horse riding is a very popular activity in Salento. Good luck with that. On a budget (or not! ): I’ve already nailed my flag to the mast on the topic of where to stay in Salento – whether you’re looking a bed with bunks or after something more private I can’t recommend La Serrana enough. Don’t believe me? Check out the Trip Advisor reviews. For hotels/more central location: If you are looking for a hotel that is located in the centre, here are the 5 best hotels in Salento (according to Trip Advisor). For location, price and cuteness, I’d choose Hotel Salento Real. Gritty and groovy, Cali draws in foreigners for its famous salsa nightlife. If you don’t want to turn up to Cali’s nightclubs with wooden hips, get some practice first. Salsa classes are as endemic in Cali as plantain but before you book, make sure there aren’t free classes on offer at your hostel or hotel. Some call San Antonio Cali’s hipster area. I wouldn’t go quite that far, but this enclave of winding streets is worth half a day’s exploration. In all honestly, it wasn’t until I was researching the crime statistics for an article about Safety in Mexico that I realised that Cali is currently number 4 on the list of the 50 most dangerous cities in the world (by homicide rates). Shoot-outs between gangs still happen at the malls and even wandering the streets during the day things felt more than a little sketchy – be careful while you’re in Cali and if a local says “don’t go there”…don’t go there. On a budget: I tried two locations in Cali – first in San Antonio and later in a residential area (Santa Monica) and out of the two I felt much safer in the latter, especially after dark. In San Antonio, I was turned away from El Viajero by very rude staff who refused to honour my booking because I hadn’t made it through HostelWorld. They’d sold all their beds on that site and hadn’t bothered to check bookings made elsewhere. I ended up staying in a sweet (but empty) place a few doors down the street – sorry, can’t recall the name. I wouldn’t stay at El Viajero now if they paid me…though that’s a good example of cutting my nose off to spite my face because the hostel did sound fun inside. Sigh. In Santa Monica, I stayed at Iguana, which was recommended to me, and which I’d happily recommend to you – the hammocks and free salsa classes were highlights. For hotels: As you might expect for a thriving city, there are a large number of business hotels including many of the big brands on offer in Cali. The 10 best Cali hotels (according to Trip Advisor) are here. The Travelers’ Choice Award Winners include small but perfectly formed OfiHotel and Jardin Azul. The second I saw an image of San Andres island in Colombia, I knew I wanted to go. 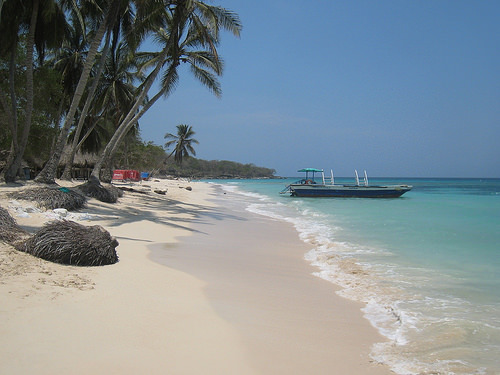 Just off the coast of Nicaragua, some 2 hours by air north of the mainland, San Andres promised a real Caribbean vibe. The problem was flight prices. Bordering on prohibitive (close to £300/$500 round-trip for what would only be a 3 or 4 night jaunt), I almost resigned myself to the fact that I wasn’t going to make it on this trip. But, with one last push, and a dedicated 2 hours of searching, employing every travel trick I know (you can read about my travel tricks here), I pulled it off – a return flight for £150/$240. As the last place I visited in Colombia, I did little more than lie on the beach by day and sip beer at night. And that was quite enough. And it was also the perfect ending to my two months in Colombia. 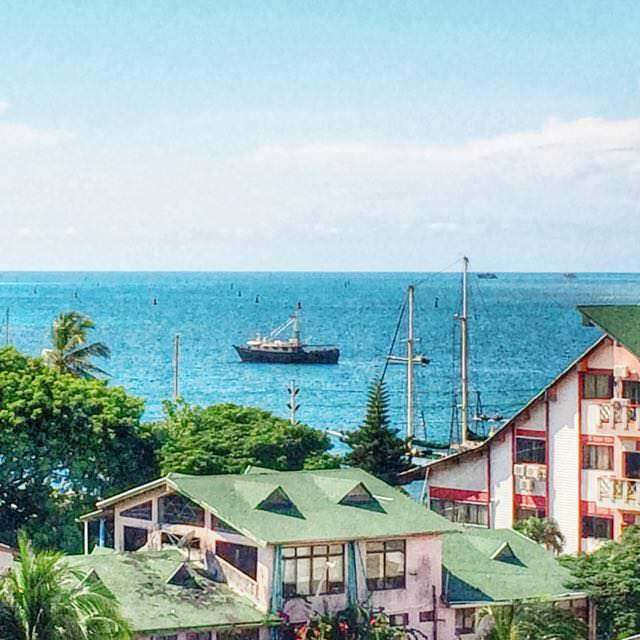 On a budget: It didn’t take me long to get over my hatred of El Viajero, because I tried out their San Andres hostel and I didn’t regret it (helped that the staff were superbly friendly). Within a short walk of the beach, bars and restaurants, and with views of the ocean from the bar (image above), you can’t beat El Viajero for value for money. For hotels: You won’t find any big, familiar chain brands on San Andres, which is a large part of the island’s charm. Instead, there’s a nice range of local/independent hotels and smaller guesthouses. Here are the 10 best hotels in San Andres (according to Trip Advisor). Hosteria Mar y Sol and Royal Decameron Isleno are two of the Travelers’ Awards Winners. 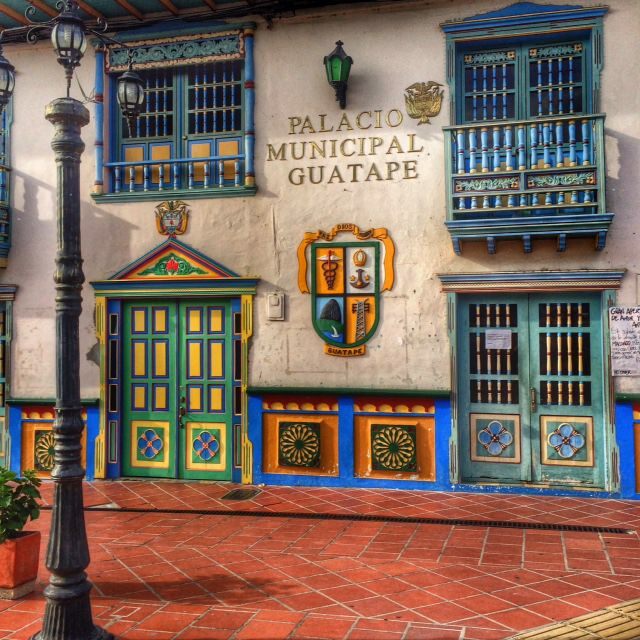 Popayan: a colonial town known as the white city thanks to it’s chalk white buildings. A great stop particularly if you’re en-route to Ecuador. San Gil: it may surprise you that I didn’t make it to the adventure capital of Colombia but with British winter awaiting me in a few weeks, I opted for San Andres’ beaches over a few days in San Gil and I don’t regret it. Baricahara: red-roof buildings (above) and a colonial town, Barichara is another place (close to San Gil) that’s going to fill up your camera. Minca: a popular place to visit from Santa Marta, this alternative coffee country is a good option if you don’t get the chance to visit Salento. My one regret in not going? I didn’t get to lie in one of the world’s largest hammocks at Casa Elemento! Have you been to Colombia? Any other highlights, recommendations or insider tips to share? Feel free to add them into the comments below. I have lived in Colombia on and off for the past 6 years. I would suggest avoiding Cartagena, Salento, Bogota and Cali and spend time in Santa Marta, Pasto, Jericho, Popyan, and Medellin. I prefer the Cafetera to any other part of the country. Spanish is essential or you will end up hanging out with gringos. I loved Salento and Cartagena is very beautiful. I suppose we have to each see all of the places to make up our own minds of what we prefer. From my point of view, this blog is one of the best to follow in your trip to Colombia, I am Colombian and I travel through my country and I consider Jo’s opinions accurate and all places that she mentioned are amazing to visit and don’t miss Chicamocha Canyon in Santander, it is the second-deepest worldwide. Thanks, Angela – always an honour to get such a compliment from somebody local. Off to Colombia for three weeks in December, actually wishing it was for longer. Been to several places you mentioned and I totally agree with your observations and comments. Cali is a great place to visit but as always travel with friends and know where and where not to go. If your in Salento look for the laziest dog in the world on the artisan street going towards the mountain. He sleeps on his back and legs pointing straight up in the air. Have great travels and meet people from all over the world. Married a beautiful lady from Cali 30 years ago and I consider Colombia my second home. Ha ha – how did I miss the laziest dog in the world? I feel like we could have been lifelong friends. Thanks for the tips! Happy to encourage more travel. Always. Very helpful advice! I am planning to join a group and visit Colombia this summer and now I can focus my search. I liked your blog, I liked how you put your own personal experience and made a real description. You are right, Colombia is not just some paradise and it’s not some dangerous wild west town either. Since you included the positive and negative experiences, you prepare travelers that want to go for the good and the bad. I am Colombian and I love to travel around the country, I get the opportunity of visiting the same place more than once and sometimes you get to the best hotel/hostel with great food and company and others not so much … ugly weather etc. Btw you gave great advice regarding safety. Colombia has a delicious cuisine. 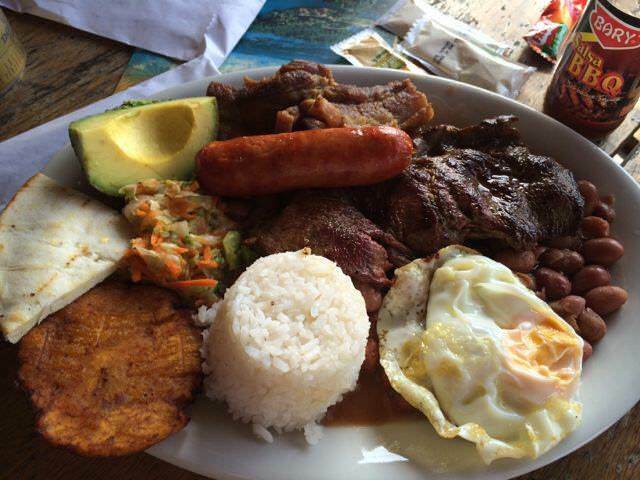 One of the most typical dishes is the Bandeja Paisa. It has different kinds of local ingredients that gives the dish a special flavor. My wife and I are planning on heading back to Colombia for our 2nd trip there and I stumbled upon this very helpful post in my research. I wanted to share my experience in La Candelaria Bogota with you and your readers as we had what was a long time dream come true there. I was impressed that they use a system called one for one tourism where locals who learn foreign languages and the tourism business get the opportunity to take tourists out on different trips and see their own country. For instance one of the two guides from the company who took us to see Lake Guatavita had never been there before so it was a new experience for him as well. To start the owner Tommy sat with us over coffee and a meal and discussed our interests and hot spots we might like to see. He circled places on a map so we could catch many of the nearby museums and other areas of interest on a self guided tour. Then we planned our guided tours. They not only took us on some of their tours but provided us with guides for a tour of the markets and different areas that had cool stories. They connected us with other local guides as well my favorite was the Bogota Street Art/graffiti tour. It really left me the impression that these folks do not just want to make money but really want to make sure their customers get the best experience they can in Bogota for their money. The best part was a tour they do called The Bogota Craft Beer Tour. Craft beer was something I was big on and I am not really a drinker but I found this tour to be extremely enjoyable and strongly recommend it. We met people from multiple countries and toured various facilities learning about the beer craft methods and the histories of each different establishment. We stayed at the Bh Bicentario just outside La Candelaria. Costs a bit more than the hostels but there is security, helpful staff free breakfast and the restaurant food was delicious. If you go back to Bogota I hope you have a much better experience than your first one. Thanks for such a detailed overview. Some really helpful stuff in here for my next trip! I am so glad you didn’t have to complain about everything in Colombia. Don’t know where you eat, Our foods are very tasty wonder where you eat. Popayán? …you choose a very bad pic of El Maestro Guillermo León Valencia con El Morro del Tulcán that is as bad as your camera ! Hi Lola, actually I don’t have to be impartial. My blog. My rules. If you’re after impartial content, I think you’ll find The National Geographic Traveler magazine a great read. One might also say, if you’re going to comment, you have to learn to be impartial or at the very least more calm, but isn’t that the beauty of freedom of speech, which is why I have published you angry comment rather than deleting it. Loved this post almost as much as I love Colombia! There´s a town that I am absolutely in love with that´s not on here, it´s called San Carlos (Antioquia), it´s a bit further from Medellin than Guatape. Right now it´s not on the tourist trail but believe me that makes it even better. There are tons of waterfalls, rivers, hikes, farms, and hills to climb. I can´t recommend it highly enough. 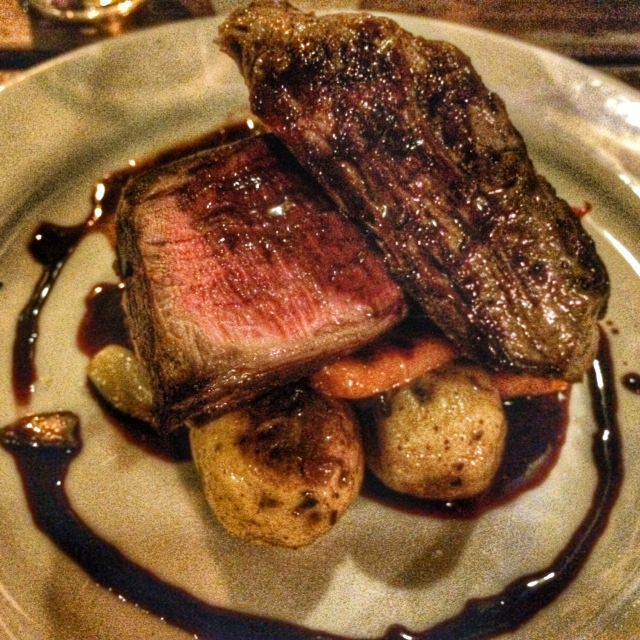 Sounds amazing – thanks for sharing, Lily. Hello, I am thinking of visiting Colombia. A lovely, detailed read with many tips for consideration 🙂 Thanks! Thanks, Harjo – happy to help. Have a great trip. You visited a lot of places in Colombia! I only have ~4 weeks. Can you give me a top 4 places so I can visit the best during my stay? I was there for a few months. Hmmm. Top 4 places…well, my top 4 favourite places (in geographical order) would be Cartagena, Tayrona National Park, Guatape and Salento. I also loved Medellin and as Guatape and Salento are best reached from there, I’d slip that in too. Oh…but San Andres too. If you were happy to move more than once a week, you could find all of those places in during 4 weeks. For example, you probably don’t need a week at Tyrona, Guatape or Salento – 3 to 4 nights would do. Hope that is some help?! Have a great trip. Do come back and let me know how you get on. Oops. Thanks, Diana – will fix it! Hi! I am from Colombia and I tell you that even you speak not bad about Colombia you didn’t have the opportunity to visit the best places in there. You said you were in a budget and of course when you travel like that you do not have the opportunity to see the best on each city. You said that everyone in Bogota wanted a chunk from you?? but if you stay in a low price hotel in the center off Bogota you will be around people who is not really good. But if you have money and visit the north of Bogota you will have a nother point or opinion about that. I defend Colombia because Colombia is more than that…..next time try the ebst of Colombia and you will see the difference. 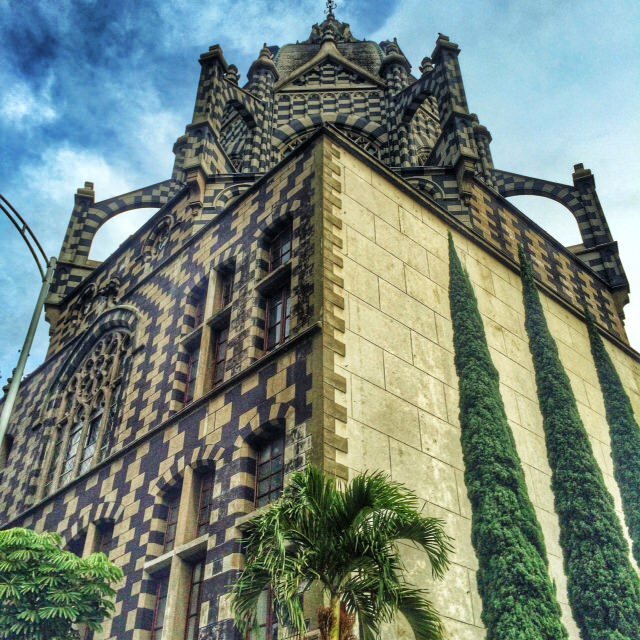 no mention of cano cristales or pablo escobars mansion as cool things to go see and do? Great info; thanks Jo! I’m in Colombia at the moment for the second time and you’ve just convinced me of the need to visit Salento! Still toying with San Andreas. … We must have had the same horse in the Pantanal! You should visit Villavicencio, in the Llanos Orientales (Eastern Plains). 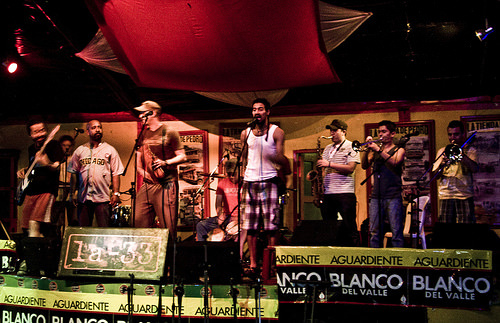 You should go when the local Torneo Internacional del Joropo is being held (I think June every year). Joropo is the music from the plains of Colombia and Venezuela, which covers from de Andes all the way to a large part of Venezuela. It’s also called Musica Llanera. And try the “mamona” or carne a la llanera. It’s beef cooked around a big fire (we stick the whole parts of the cow on long wood/metal sticks, and cook it for around 5 to 7 hours……..). Don’t miss Villa DeLayva in Boyaca a town so typical colonial you will feel like putting on a black suit and mask and being Don Zorro himself. Stay at the Mesopotamia what it lacks in comfort is made up for in charm. 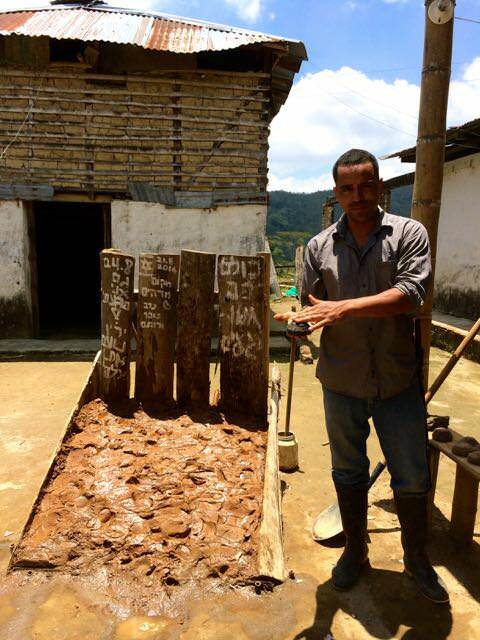 – How did you travel to Guatape and Salient? 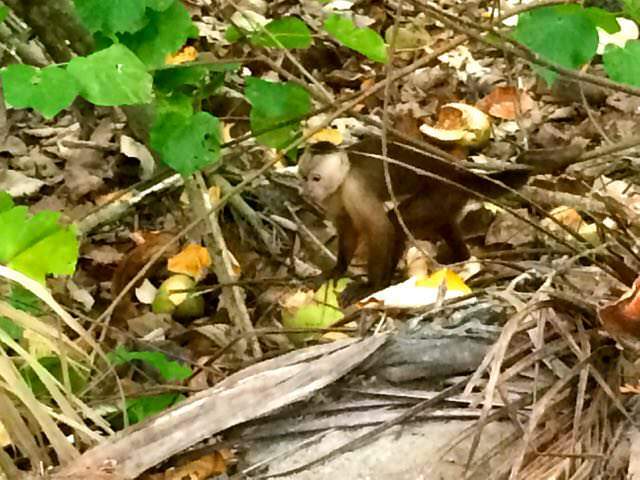 – Did you stay in accommodations within/around the Tayrona National Park? 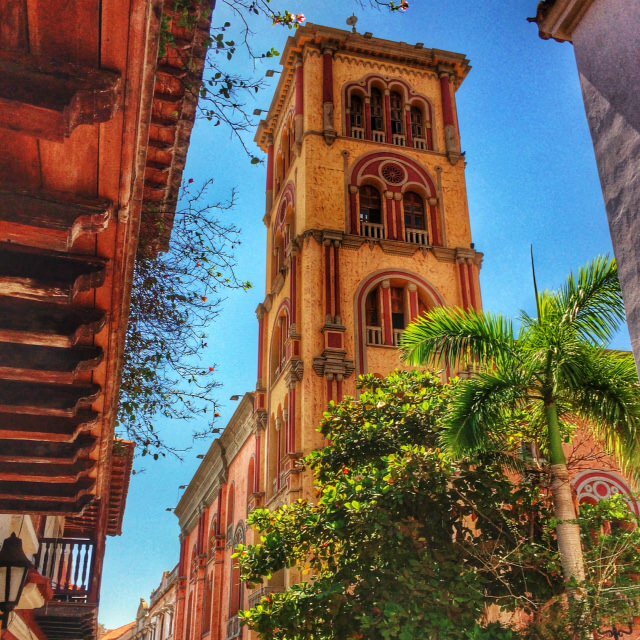 – How many days would you recommend in Cartagena? – Any additional safety tips? Especially when travel between locations or in the evenings back to your accommodations? Again thank you – super helpful! My article should mention accommodation in Tayrona – there are a couple of camp sites and they can’t be booked online. You just have to turn up so go early! On a 3-week trip, I’d spend 3-4 days in Cartagena including one day visiting the white island. I didn’t feel particularly unsafe in most of Colombia. If you’re going out to party, try to take some other travellers with you. Keep your valuables inside the bus and take licensed taxis if you’re unsure and don’t take any risks – dark alleys/befriending strangers/flashing wealth. That should keep you safe enough. Villa de Leyva!! About 5 hours from Bogota, beautiful resort town with a wonderful town square and plenty of shopping. Also perfect place to get emeralds for a good price! Thanks for the tip, Courtney! 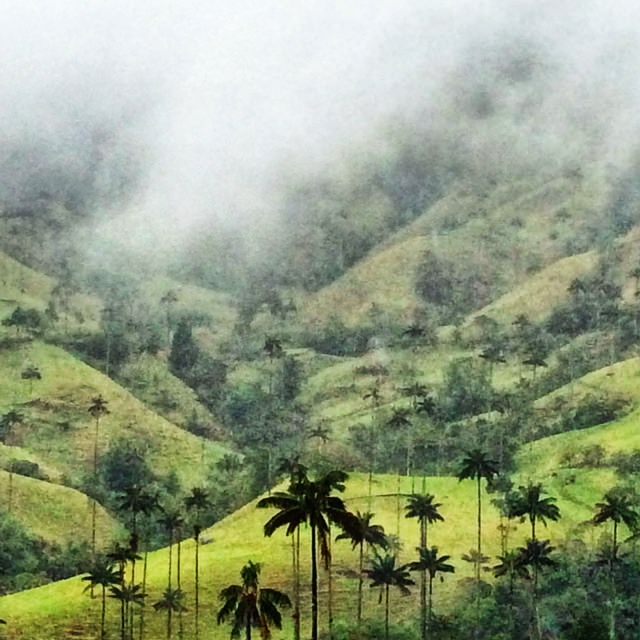 Jo, these are really beautiful photos from Colombia! I’d particularly love to visit Guatape and Cocora valley. How the you find the overall safety; not just in Cali, but in all of Colombia? Hi Miriam, Guatape and Cocora Valley were two of my favourite places in Colombia. In terms of safety, I felt completely safe the entire time…with the exception of Cali. I felt a bit on edge there and was glad to leave but it could have just been my paranoia. Everywhere else I went, I felt entirely comfortable even as a solo female traveller. Hope you get to visit. Safe travels. Well, that’s just made my Colombia bucket list about as twice as long as it was before! Despite spending 10 months in South America last year, my husband and I didn’t make it to Colombia, which made sense at the time (we also like to travel slow), but I regret not having gone now somewhat. Hopefully we’ll get back there in the next few years and will be able to visit all these places!